Today’s businesses demands a modern approach to infrastructure—which is why more IT organizations are turning to latest virtualization technologies to attain new levels of speed, agility, and cost savings. Don’t let the wrong information lead you to an inferior cloud solution. 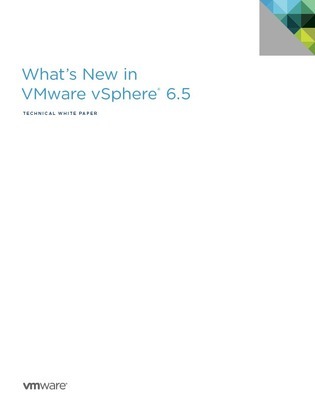 You can get all the benefits of vSphere 6.5— simplify automation and management at scale, protect data and infrastructure with built-in security, and run any app anywhere—without tradeoffs. Find out what is fact and what is fiction, download the paper. Read further to discover the capabilities featured to run, manage, connect, and secure applications in a common operating environment, across clouds and devices.